Safe and effective it is not. Action Alert! 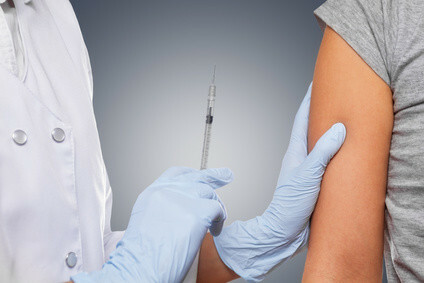 On February 20, NPR’s All Things Considered aired a segment lamenting the low vaccination rates for the human papillomavirus (HPV) in American children (to date, 33% of girls and fewer than 7% of boys have received all three recommended doses of the vaccine). Apparently doing no independent journalistic research on the subject, both the segment and its companion article simply parroted a recent CDC (Centers for Disease Control and Prevention) report. The introduction to the piece called the vaccine “safe and effective” and it went on to claim, “Studies to date have shown no significant safety problems” with the HPV vaccine. This is dangerously misleading information. Many children could be harmed by it. A quick glance at the CDC’s website reveals significant side effects. The Center received about 22,000 reports of adverse events following Gardasil HPV vaccination from June 2006 to March 2013, with 8% of these reports considered “serious”—among them, 157 deaths and diagnoses of Guillain-Barre Syndrome, encephalitis, brain injury, and seizure (convulsion). This was more side effects reported than for any other vaccine. The Medical Journal of Australia records the case of a woman who, four days after vaccination, developed pancreatitis for which “no other cause” beyond the vaccine could be discerned. The European Journal of Neurology documents six patients who developed postural tachycardia syndrome, a heart disorder that brings on fainting spells and dizziness, after receiving the vaccine. The CDC takes the position that they will only consider peer-reviewed research, not the raw data represented by the adverse event reports. But they also refuse to sponsor the peer research themselves. This is a blatant evasion of the issue. An August 2011 study commissioned by the Department of Health and Human Services (HHS) and carried out by the Institute of Medicine (IOM) did attempt to link specific adverse events to specific vaccines. This report found only a “casual link” between the HPV vaccine and anaphylaxis. However, the study simply ignored the 22,000 reports on the Vaccine Adverse Event Reporting System for the HPV vaccine. Instead, it considered only the 15,055 petitions for compensation filed with the National Vaccine Injury Compensation program for seventeen vaccines. Just 220 of the petitions specifically addressed the HPV vaccine. It’s all too typical of what is going on that 22,000 reports were entirely dismissed as unreliable, while “firm” conclusions were drawn from just 220. Merck is not adequately warning parents and physicians of the risks of this vaccine. India has banned it because of deaths associated with it. France has ruled that it cannot be advertised. There is no good evidence that the vaccine prevents cervical cancer. The studies provided by Merck are highly disputable. And because cervical cancer takes so long to develop, even those studies are largely based on presuppositions. It is understood that the vaccine only protects against certain types of wart virus. It is not understood that there is no evidence that even this limited immunity lasts for more than five years. Three expensive shots, huge toxicity risks, and only five years of immunity from viruses that are not likely to cause cancer or especially to cause death from cancer is a very bad bargain. Cervical cancer rates fell sharply before the advent of the vaccine. They may rise again if women think incorrectly that they are protected and fail to get the Pap screening. The article recounts the story of Tracy Wolf, a mother whose daughter’s health deteriorated with every HPV shot, with tragic ultimate consequences. She has tried to warn other mothers. As for NPR, it’s easy to understand why they shared only one side of the HPV vaccine story. Major media outlets and personalities are careful to distance themselves from anything that could be remotely interpreted as critical of vaccines. For example, in a departure from the usual practice last December, Katie Couric aired an episode of her syndicated talk show, “Katie,” that discussed the HPV controversy. The show’s tagline read: “The HPV vaccine is considered a life-saving cancer preventer…but is it a potentially deadly dose for girls?”. The segment discussed both the potential benefits and the potential hazards of the HPV vaccine, and featured a mother whose daughter died eighteen days after receiving the vaccine, as well as another young woman who received the vaccine and subsequently experienced years of adverse health effects. But based on the science, my personal view is that the benefits of the HPV vaccine far outweigh its risks. That is why, as I said on my show, I had my own two daughters vaccinated against HPV. Anyone familiar with the American mainstream media would recognize the absurdity of its members claiming shock and indignation about a “biased” story. Nearly every day, there’s a new, heavily skewed story promoting the pharmaceutical industry at the expense of dietary supplements and integrative practitioners. The message behind mainstream media’s self-policing of Ms. Couric comes through loud and clear: report that all of Big Pharma’s vaccines are safe and necessary, and you’ll be lauded as a public health hero. Mention the fact that drugs and vaccines sometimes have serious side effects, and you’ll be branded an anti-science, anti-vaccine enemy of the public. It seems a “slanted” news story is only offensive if you slant the wrong way. Action Alert! Tell NPR to report both sides of the HPV vaccine debate! Their latest story on the vaccine left out important information that families across the country need in order to make informed decisions. Please take action immediately!